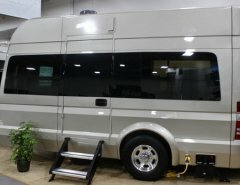 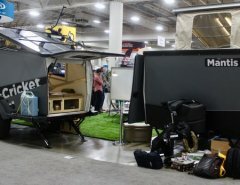 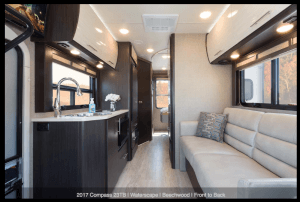 Introducing Thor’s 2017 Compass, the motorhome that is Made to Fit your adventure. 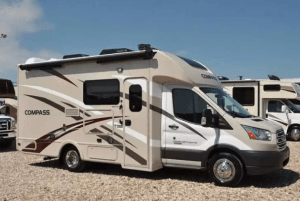 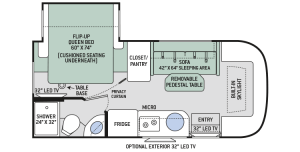 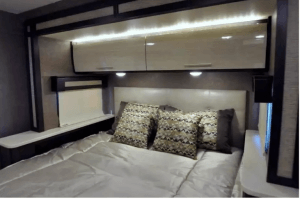 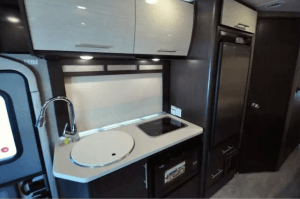 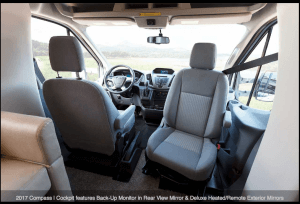 There are 3 floorplan models in this 2017 Class C and Thor Motor Coach has updated features and specs that make this compact Class C a real treat to drive and a comfortable, cozy home to enjoy your adventures in style. 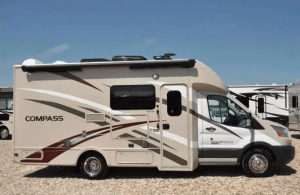 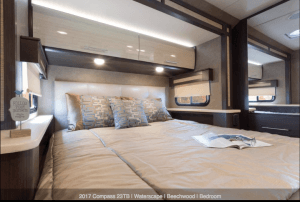 The Compass motorhomes are priced to fit anyone’s budget from families buying their first motorhome to full-timers looking for a roaming dream home. 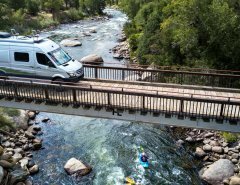 It is powered by a 3.2L I-5 Power Stroke® Turbo Diesel engine and built on the Ford Transit chassis with an independent front suspension measuring approximately 23 ft. 6 inches. 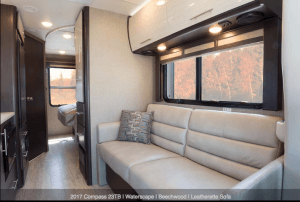 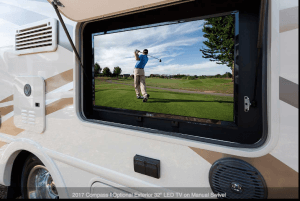 Optional equipment includes the HD-Max colored sidewalls and graphics, exterior entertainment center, (2) 12V attic fans, A/C with heat pump, heated holding tanks and a second auxiliary battery. 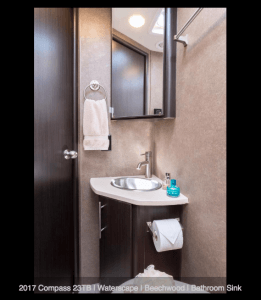 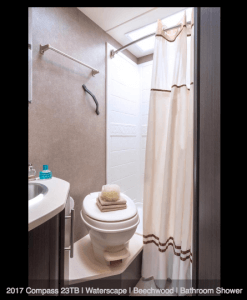 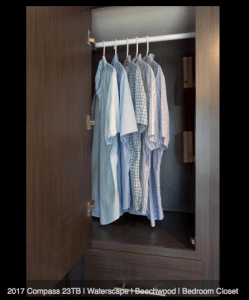 You will also be pleased to find a host of feature appointments that include a tankless water heater, refrigerator with stainless steel door insert, one piece front cap with built in skylight featuring an electric shade, swivel passenger chair, euro-style cabinet doors with soft close hidden hinges as well as exterior & interior LED lighting.